New Delhi [India], Dec 10 (ANI): The Supreme Court on Monday dismissed a petition filed by a former BJP MLA of Jammu and Kashmir challenging dismissal of the state Assembly by Governor Satyapal Malik last month. Srinagar (Jammu and Kashmir) [India], Dec 4 (ANI): The polling for the seventh phase of panchayat elections in the state of Jammu and Kashmir has begun on Tuesday. The voting commenced at 8 this morning and will conclude at 2 pm. New Delhi [India], July 29 (ANI): Condemning People's Democratic Party (PDP) leader Muzaffar Hussain Baig's recent remark over lynching, Bharatiya Janata Party (BJP) leader Subramanian Swamy on Sunday questioned if the former is accusing the government of these incidents. 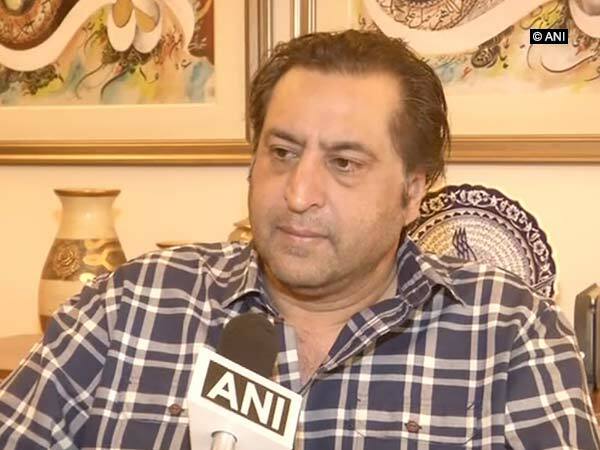 Srinagar (Jammu and Kashmir) [India], July 28 (ANI): Standing by his remarks on lynching People's Democratic Party (PDP) leader Muzaffar Hussain Baig on Saturday and said he would have felt like a coward if he didn't put forth his point of view. Chennai (Tamil Nadu) / New Delhi [India], July 28 (ANI): People's Democratic Party (PDP) leader Muzaffar Hussain Baig on Saturday drew wrath from various political parties over his lynching remark. Srinagar (Jammu and Kashmir) [India] July 28 (ANI): People's Democratic Party (PDP) leader Muzaffar Hussain Baig on Saturday warned of dire consequences if lynching of Muslims continues. Jammu (Jammu and Kashmir) [India], July 9 (ANI): Former Jammu and Kashmir Chief Minister Omar Abdullah on Monday said the People's Democratic Party (PDP) and the Bharatiya Janata Party (BJP) made big promises but have failed in fulfilling them. Anantnag (Jammu and Kashmir) [India], Jul 2 (ANI): Former Jammu and Kashmir Chief Minister Omar Abdullah dismissed the report of Congress and People's Democratic Party (PDP) forging an alliance in order to form a government in Jammu and Kashmir.